The new year is a great opportunity for you to refresh your social profiles, get organised and make sure everything is up to date and current. This includes your bio, cover photo, profile photo, location etc. It’s also a great time to change up the look of your profiles especially your Instagram feed if you feel like it is becoming outdated or you are beginning to get bored of the way it looks. New year, New you right?! However, try and make it a habit of regularly updating your profiles and avoid leaving it until next year before you realise you need an update! Below are 4 steps you can take to give your social profiles that well needed refresh! Usually for businesses, your profile photo should be your Logo. This is because your profile photo is what is going to be associated with every single post you publish. The only problem is profile photos are small, so the quality can often be lost and it can be hard for people to see what the picture is. 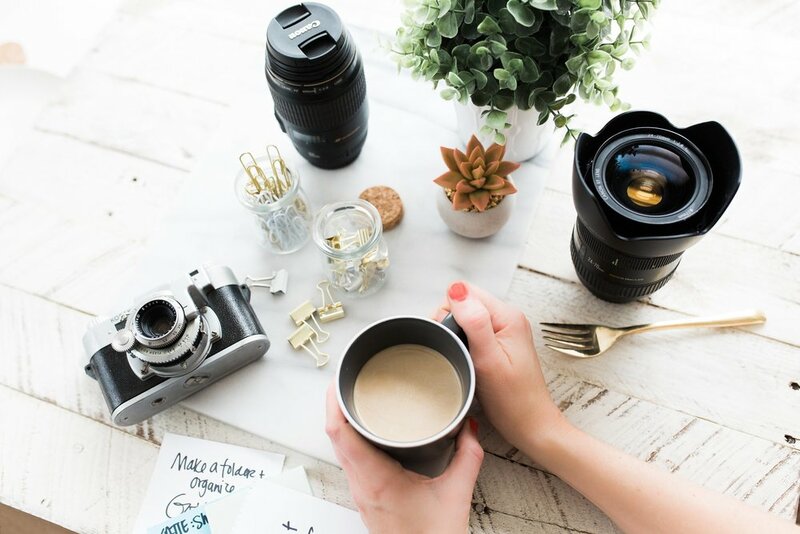 So to keep your brand awareness game strong ensure you are using a clean and crisp photo which is easily recognisable and memorable - this may mean having to simplify your logo if it is quite complex. Your cover photo is your chance to show the bigger picture, make a statement and tell a story about you and your business. This could be a call to action such as “sign up to our newsletter”, a sale announcement or simply just informing your audience who you are and what you’re about. There are tons of different ways you can create a cover photo (you don’t have to be a graphic designer... trust me!) We tend to use photoshop, adding text and symbols to a photo on photoshop is super easy and there are plenty of tutorials online to guide you if you are unsure. You can now even add a video as your cover photo which is a great way to catch your audiences attention! Remember to ensure your creations fit the size specifications of whatever platform you are creating it for. And remember, regularly updating is key! - Our top advice would be to update your cover photo every month in line with your marketing goals. Your biography should tell you exactly what you do, what you offer and why they should follow you! A bad biography could prevent you from finding new customers and gaining new followers. Updating your bio frequently will not only ensure you are keeping your followers informed about the latest changes, but that you are properly introducing your brand to any new followers. The biggest mistake you could make when writing your bio is to leave out where people can find you. Providing a direct link to your website and adding your location if you have a physical store/shop/office will allow potential customers to find you at ease! You may have already mastered the theme of your profiles and love the way it looks, and that’s great! It’s not necessary to fix something that's not broken. However, sometimes it is nice to change things up and what better time to take the plunge than the new year? A new look can attract new followers and keep your page looking up to date and fresh! Be sure to really plan out exactly what your new theme is going to be before you start posting as chopping and changing between themes, colours etc will look messy - especially on Instagram. You want your feed to be coherent, so if you’re changing the theme do it, and stick to it! Regularly refreshing your social media profiles will allow you to keep your followers interested in visiting your page ensuring they don’t press that unfollow button! It will also allow you to keep your profiles in alignment with your marketing goals to ensure you get the most out of your profiles.